Dr. Kenneth Cooper is Founder and Chairman of Cooper Clinic in Dallas, Texas. In 1997, he assembled a team of physicians, registered dietitian nutritionists, and leading research scientists to develop the best possible multivitamin based on scientific research. 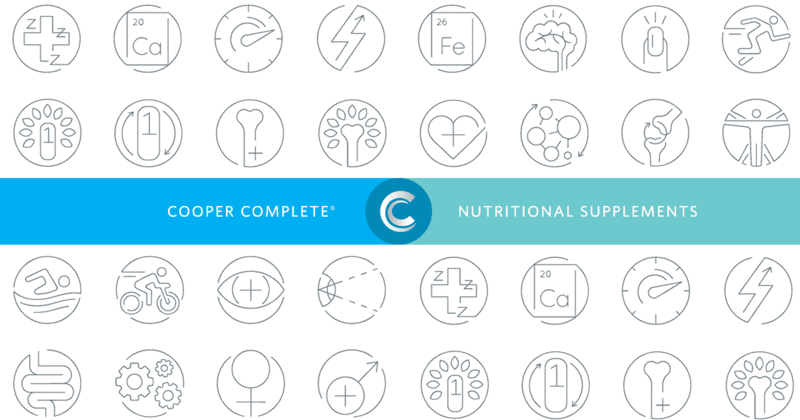 The finished product was the beginning of Cooper Complete® Nutritional Supplements. Dr. Tyler Cooper is the CEO of Cooper Complete® Nutritional Supplements. The son of Dr. Kenneth Cooper, he grew up at the Cooper Aerobics Center in Dallas, which was founded by his father eight days before his birth. Jill Turner is the President of Cooper Complete® Nutritional Supplements. She oversees the Cooper Complete® line of nutritional supplements from creation to distribution. Cathy Sides is the Director of Customer Relations for Cooper Complete® Nutritional Supplements. In 2007 Sides was awarded Cooper Customer Service person of the year. Chris Clements is eCommerce Manager for Cooper Complete® nutritional supplements. He has a Bachelor’s degree in Business Administration from The University of Tulsa and a Master’s degree in Sports Management from The University of Texas. Chris came to Cooper Complete from working in a marketing automation role for an advertising agency for nonprofit organizations.